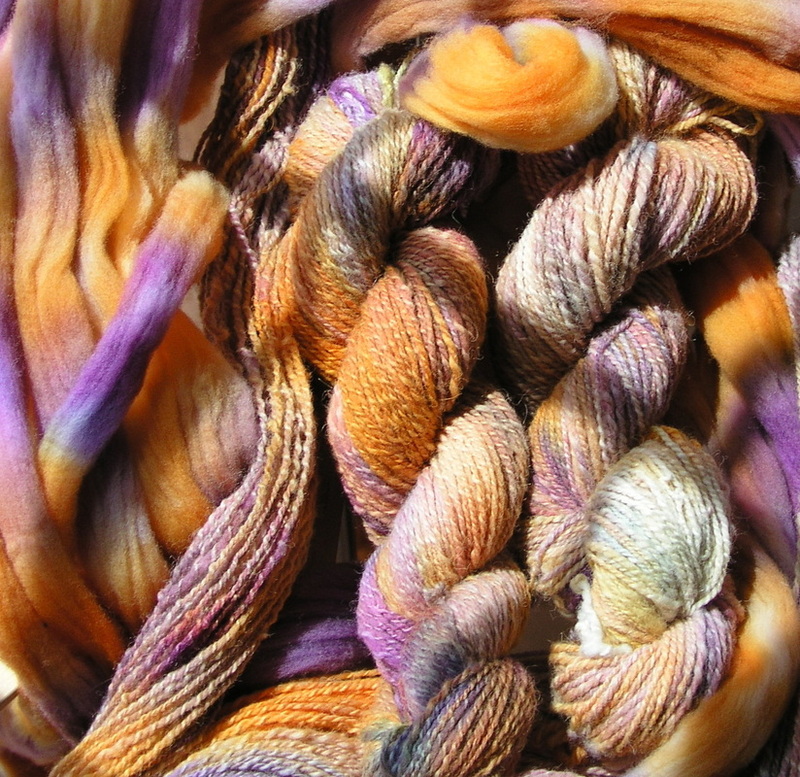 We provide wool fleece, top, roving and yarns to discriminating fiber artists. Our wool is grown under glorious Minnesota daybreaks, magnificent sunsets and beautiful stars. 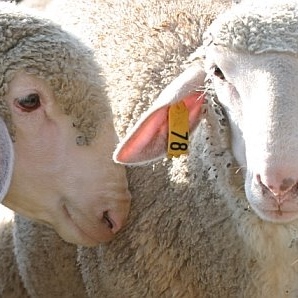 We raise purebred Rambouillets, well known for their superior, long staple, dense, fine wool. 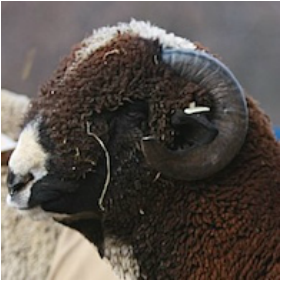 Our ewes are bred annually to regional and national champion rams and we manage our breeding with wool quality in mind. 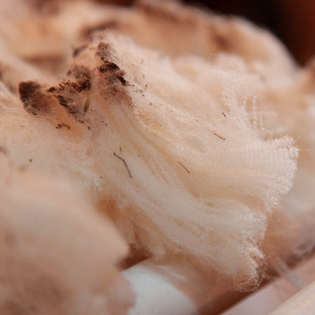 Enjoy the luxurious feel of our purebred Rambouillets, well-known for their fine white fleece. 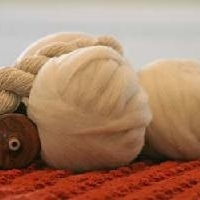 This wool is suitable for the finest knitwear and feltings. 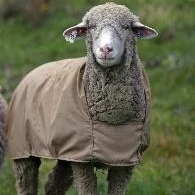 Rambouillet fleece has a light-shrinking staple of three inches or better which results in greater thread length hence more thread produced per pound of wool. Our Rambouillet Cross deliver a gorgeous natural chocolate color in rich browns. Perfect for spinning, knitting, or felting. We cover 30 sheep each year to protect the fleece from hay and other debris so it's clean enough for handspinners. 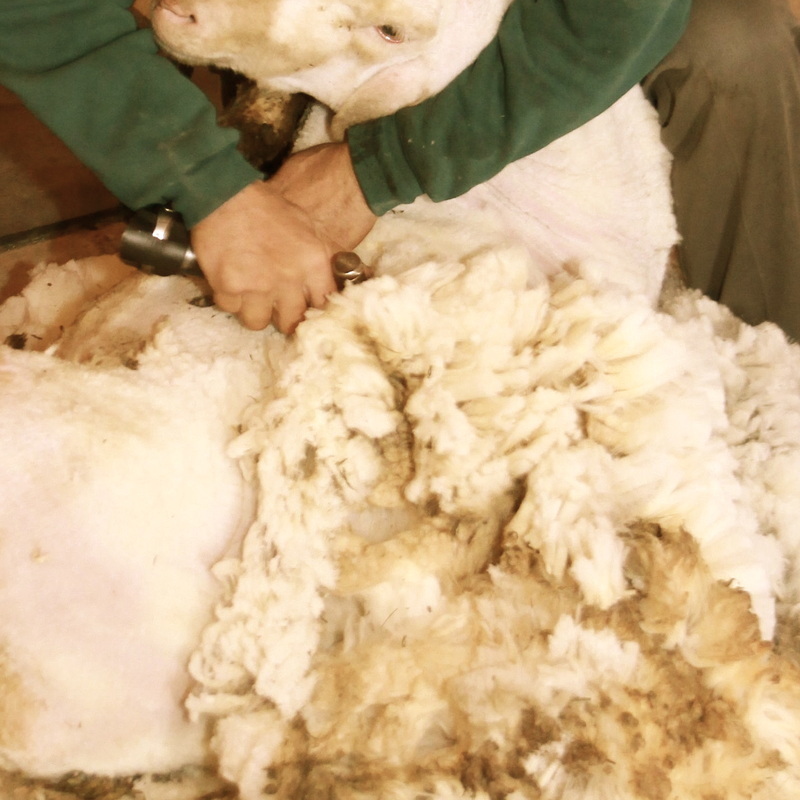 Each spring a master shearer comes to the farm to help us gently and cleanly harvest the wool crop. Each fleece is opened onto a skirting table that allows us to remove the legs, head and belly wool which is not suitable for fiber artists. Whether here at the farm or once it's been sent to the mill, these Rambouillet fleeces are soaked in hot water and wool wash to remove the natural 'grease' from the fiber. 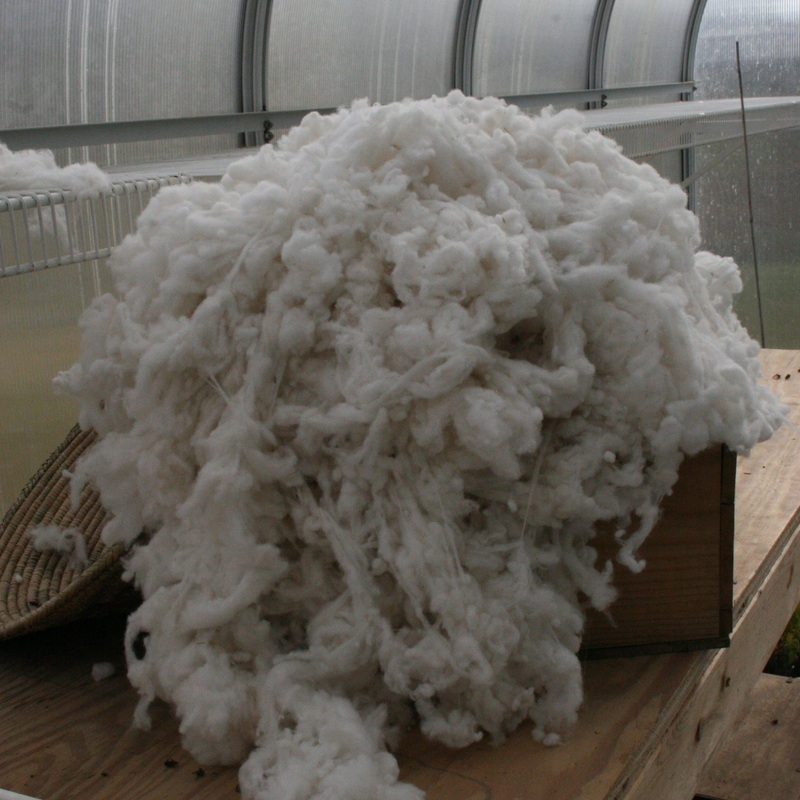 The wool is then prepared for hand spinners and felters. Carding for felters and either carding or combed top for spinners depending on the yarn they desire. Rambouillet stable length typically runs between 2 - 4 inches. 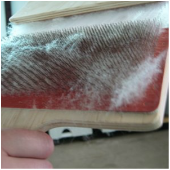 When you are blending fibers it is often advisable to mix fibers of similar length. allows artists to have complete control of the process. 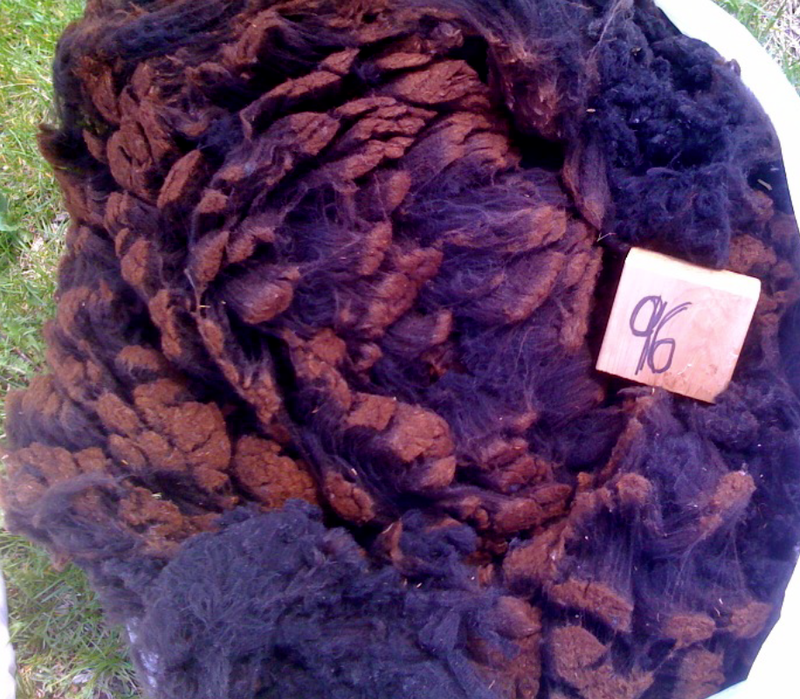 We sell full fleeces for purists and offer individual pounds for blending with other fibers or for beginners to start with a manageable amount. 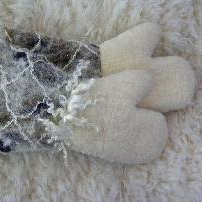 creates the warm and bulky woolen yarns often chosen for felting projects, sweaters and blankets. Our roving spins a warm 3-ply yarn of 10 wpi at 56 yards per ounce or 896 yards per pound. creates the smooth, lightweight worsted yarns used for projects that need to hold their shape, like cabled knitting. 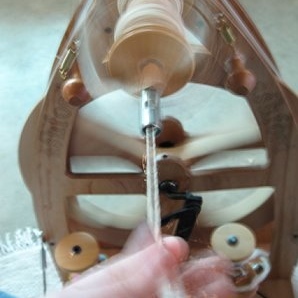 Our tops spins a nice 3-ply yarn of 10 wpi at 35 yards per ounce or 560 yards per pound. Our Rambouillet wool is sent to the mill and spun into beautiful yarns of varying weights such as bulky or worsted. We handspin our wool on spinning wheels and can blend in dyed Rambouillet for color or combine with other natural wool fibers. We also handspin our wool with all kinds of novelties including angelina, vintage fabric, and even milkweed. Rambouillet yarns are as soft as Merino but have more bounce. Our worsted yarns easily reveal the complex shapes of cables and other aran stitch patterns. 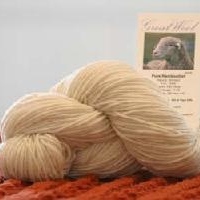 All Rambouillet fiber is lustrous and highly reflective of color. Color can be added to the fleece, the prepared fiber or directly onto the yarns. Rambouillet batts and roving are ideal for both wet, Nuno and needle felting projects.